A complete pedalboard in one stompbox, the H9 Harmonizer® effects pedal is full of Eventide’s iconic reverb, chorus, delay, modulation, pitch-shifting and distortion effects. With the H9, you can evoke the sonic landscape of legendary albums and open the doors to the creation of new sounds never heard before. Faithfully recreate the iconic sounds used by top artists, engineers and producers such as Steve Vai, Jimmy Page, Frank Zappa, Eddie Van Halen, Richard Devine, Suzanne Ciani and many more. The H9 can run all of the effect algorithms from our TimeFactor (delay), ModFactor (modulation), PitchFactor (pitch shifting), and Space (reverb) pedals as well as some created just for the H9. 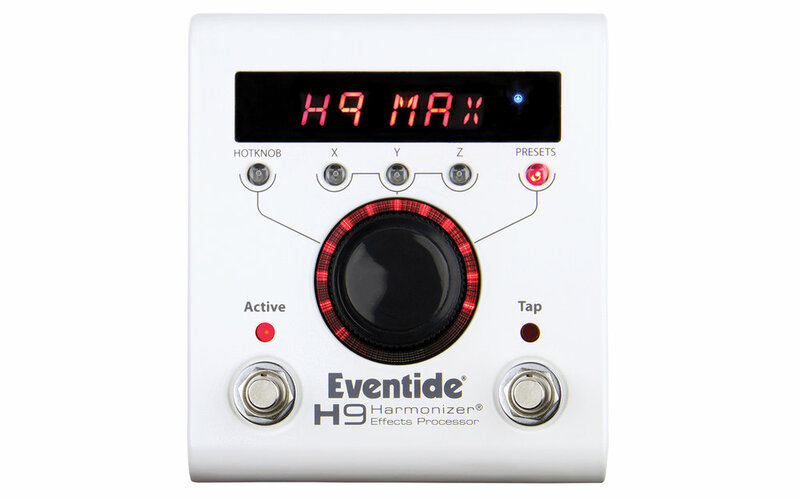 The H9 Control app provides remote control access of all Eventide effects pedals. With H9 Control, you can manage parameters, presets and settings with an easy to use interface. Get instant access to over 500 presets that push the boundaries of delay, reverb, pitch-shifting, modulation, distortion and more. 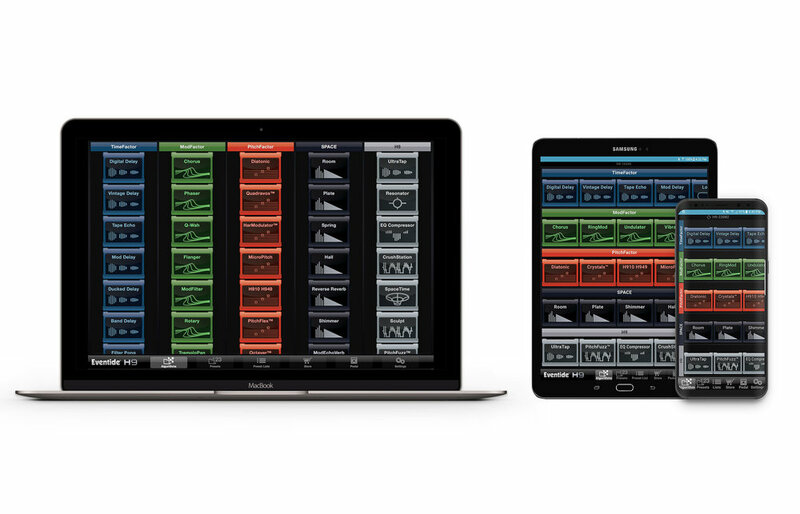 H9 Control is available on Android, iOS, Mac and PC. Preloaded with 50 effect algorithms and 99 presets. Over 500 presets available via the H9 Control app. H9 MAX includes all future algorithm releases at no additional cost. Preloaded with 9 effect algorithms and 99 presets. Additional effects available for purchase via the H9 Control app. - Every H9 Harmonizer comes with a coupon for a free algorithm download. - Every H9 Harmonizer can be MAX'd out at any time. Preloaded with 25 presets from the original H910 / H949 Harmonizers. Additional effects available for purchase via the H9 Control app. - Every H9 CORE comes with a coupon for a free algorithm download. - Every H9 CORE can be Max'd Out at any time. There are 49 effect algorithms, and more than 500 presets available for H9 that include reverbs, delays, pitch shifting, chorus, distortion and everything in between.